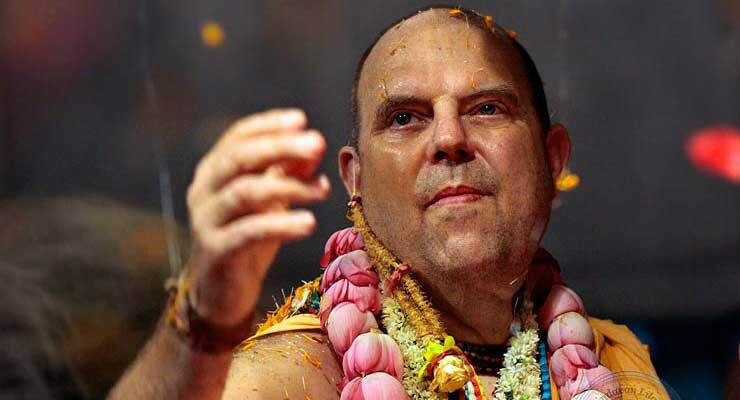 His Holiness Jayapataka Swami has given invaluable guidance and inspiration for the Mayapur Project and the Temple of the Vedic Planetarium since its very beginnings here in Mayapur. He has always kept it in his mind and heart to help make alluring and transcendental exhibitions to attract the masses to the Holy Dham. Such spiritually potent exhibitions are the tools for preaching and imparting true knowledge to the devotees and non-devotees alike from all over the world. We all look forward to his continued participation in this regard and his well known capacity to "think out of the box" in the service of Sri Sri Radha Madhava.